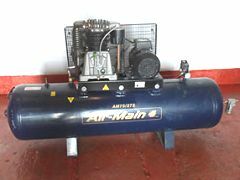 Airmain 75272 piston compressor, with a 272 litre horizontal air receiver and compressor mounted on top. Has a 5.5KW motor, quite ample to suit most small window companies. 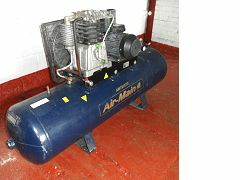 As you can see the compressor is in very good condition.